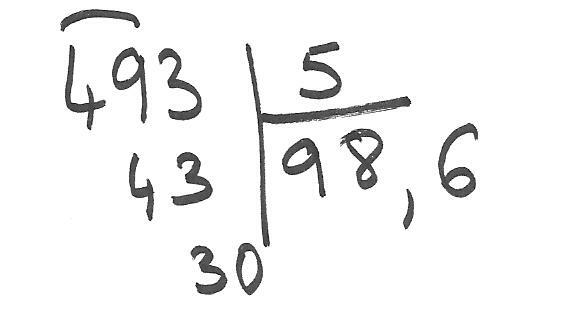 learn – Teach. Empower. Transform. 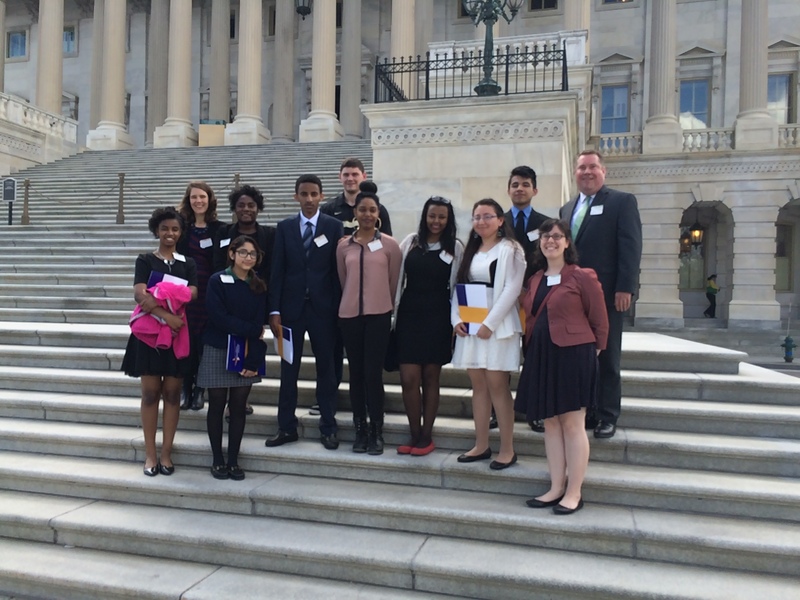 On Friday, April 17th, during DCPS and FLOC spring break, 8 FLOC High School Scholars had the opportunity to be lobbyists for a day. They began their Capitol Hill visit with a working breakfast, learning and discussing about the U.S. legislative system, how to influence decisions and reach consensus, and the do’s and don’ts of lobbying. 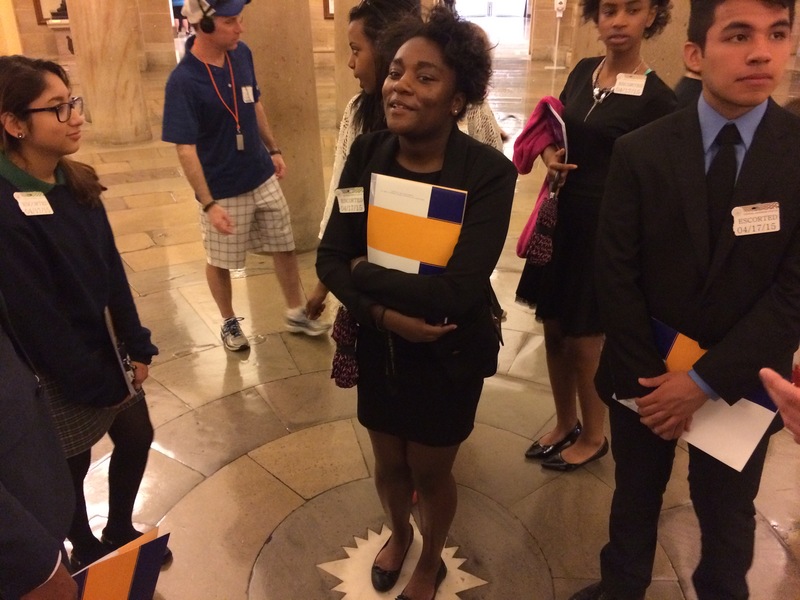 Then the students broke up into teams of two and headed off to House and Senate office buildings to shadow some professional lobbyists and participate in meetings with congressional staffers on topics ranging from health care to cyber security to transportation infrastructure and more. 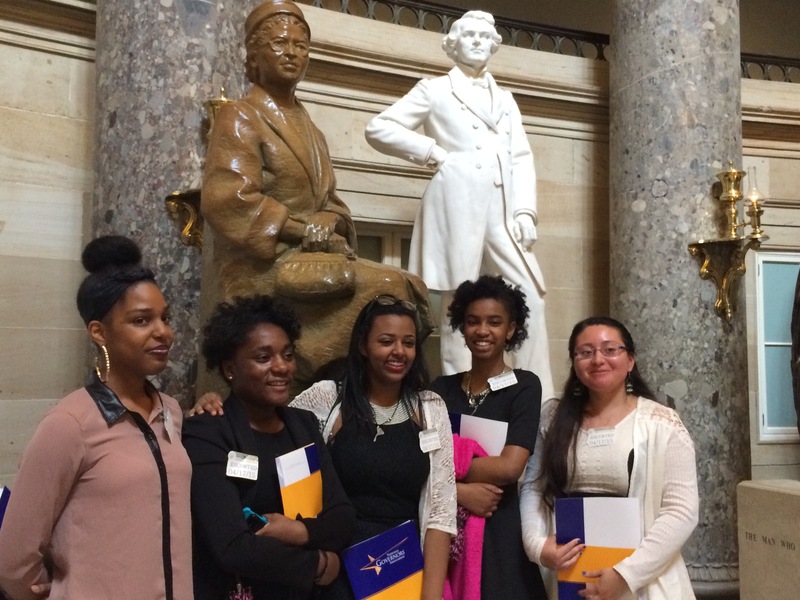 One of our high school sophomores got to lobby a congressional staff member on the reauthorization of the No Child Left Behind law (or the Elementary and Secondary Education Act), which sets national standards for closing the achievement gap and provides funding for state and local school districts. Joel had the opportunity to share his own experiences with DC’s annual assessment tests and his recommendation that Congress make college more affordable for all students. After a full morning of learning and lobbying, it was time for a fantastic lunch in one of the Congressional dining rooms, including ice cream for dessert, and a tour of the U.S. Capitol. Our tour included some of the usual interesting stops, like the Capitol Rotunda and murals, Statuary Hall, the old Supreme Court Chambers, and the exact center of Washington, DC. But it also included some extra special behind-the-scenes peeks that the general public doesn’t usually get to see, such as visiting the Senate Cloakroom and stepping onto the Senate floor, touring the Minority Leader’s office, and a ride on the Capitol subway. Many thanks to the staff from the offices of the National Governors Association, Senate Sergeant at Arms, Senator Bennett from Colorado and the staff of the Democratic Cloak Room for making this tour possible, plus the Senate pages who spoke to us about their lives as high school students living and working in DC for the semester. Our group of students included an aspiring politician and a young woman set on being the “second Latina Supreme Court Justice,” so the insiders glimpse into our political process was such a fabulous experience to help them on their career journey! One of the greatest challenges that students face when transitioning from elementary school to middle school is organization. From switching classes more often to having a locker, students need support to ensure they are developing healthy habits that will continue for their entire life. 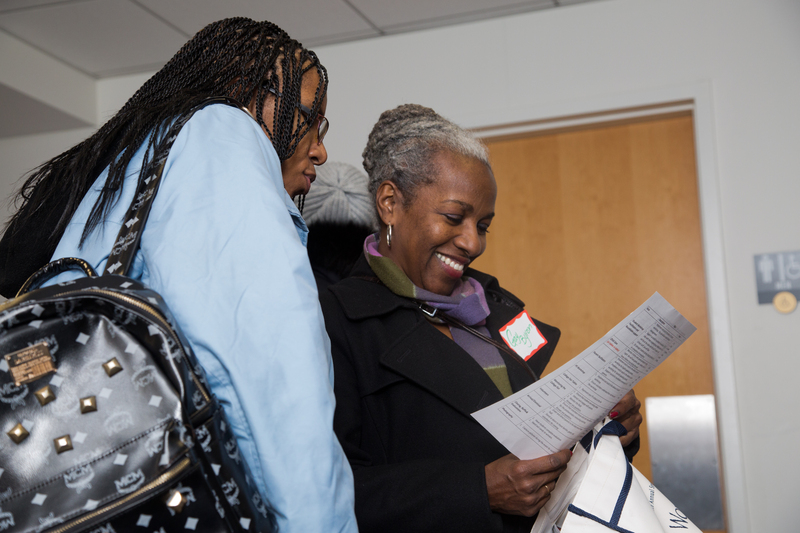 In March, Bethel Tafari, the Scholars Program Social Work Intern, hosted a middle school parent workshop to share the importance of organization and to provide useful tips so parents can better support their child through this transition. The material that was presented to parents consisted of learning styles, brain development stages, and organizational skill strategies for adolescents. Following the material, there was an open discussion. Everyone was able to reflect on the material presented, discuss with each other, and give each other advice on different strategies they have used and worked. They were able to walk away with new information that will help their children in organization with school. 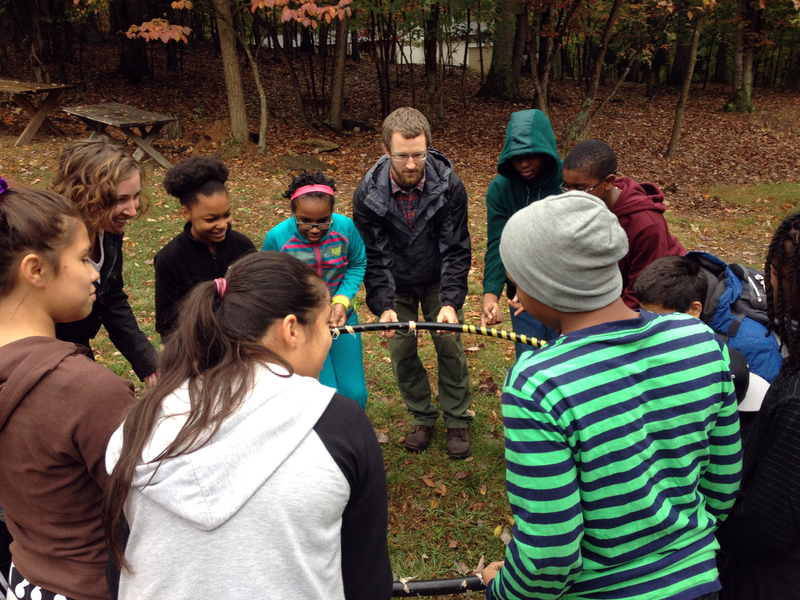 On October 13th, 2014, FLOC’s Outdoor Education Center (OEC) welcomed 23 Middle School Scholars and four staff members to the scenic oasis in West Virginia. 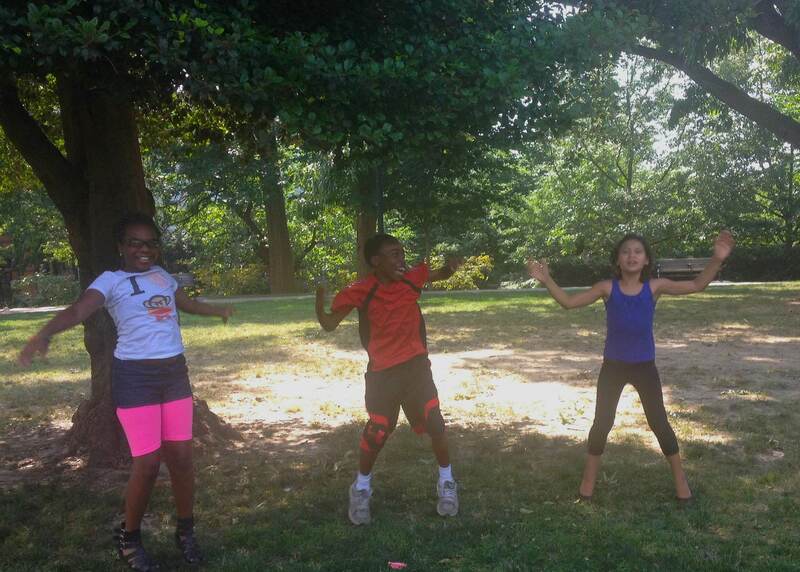 Students were greeted by four enthusiastic OEC staff members who led them through engaging low-ropes course activities and games. enjoyed a delicious lunch of chicken nuggets, macaroni, salad, and fruit. as they received safety instructions. 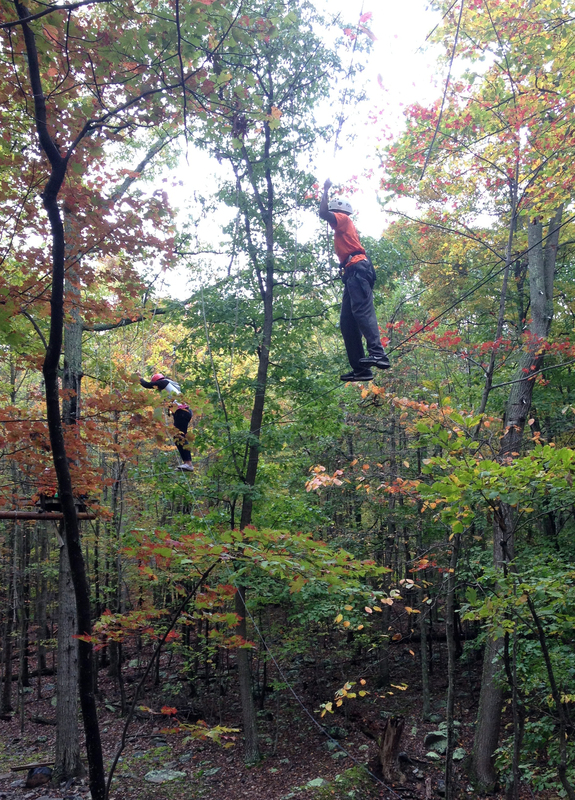 Students could choose from three levels of difficulty on the high ropes course, and everyone encouraged one another to participate despite initial uncertainty. One student, Paola, stated she was too scared to do the high ropes course during summer camp, but with her friend’s encouragement, decided to give it a try this time. Paola gracefully made it across the first portion of the ropes course, and flew down the zip line with an enormous smile as her peers cheered her on. All of the Scholars did a great job overcoming their fears, supporting one another, and building community. Judging from the amount of snoring on the ride home, our Scholars had an action-packed and enjoyable escape from the city! 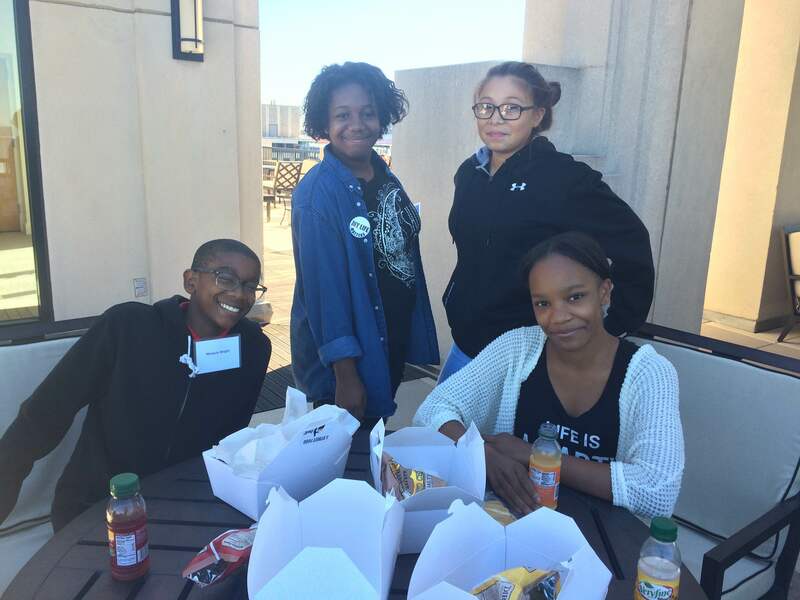 When I moved to Washington, DC in June 2012, I wanted to volunteer with an organization in the area where I could work one-on-one with someone to have a sense of consistency and to have a more tangible grasp on how my time was making a difference. 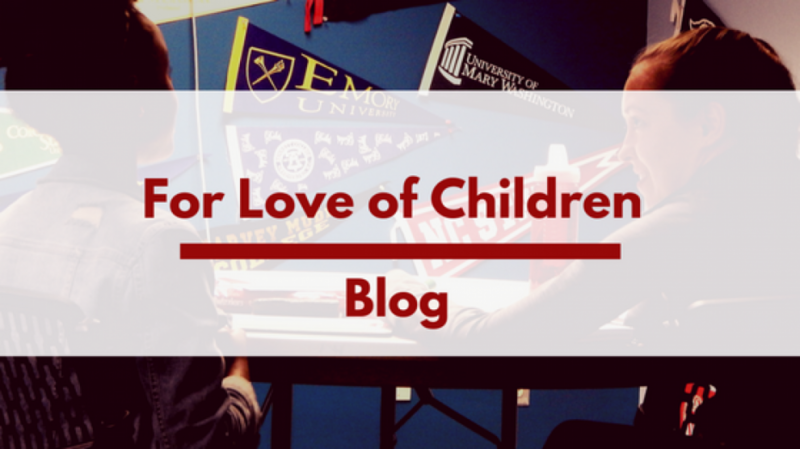 When I found FLOC, through the recommendation of a friend-of-a-friend, it was icing on the cake that I found an organization where I would not only serve my community, but also strengthen my skills in curriculum development and lesson planning. The first day I met Malik, I knew FLOC had made a great match. We completed the getting-to-know-you worksheets in his guidebook and learned about the countries and places we wanted to visit and our favorite subjects in school. I learned that Malik had visited my hometown, Virginia Beach, and that he likes to go fishing with his grandfather. 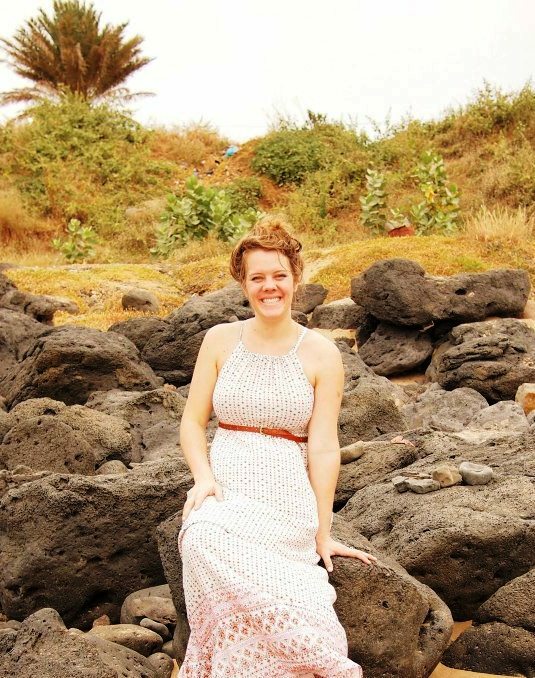 I shared some stories from my time in Mali, where I served for close to four years as a Peace Corps Volunteer, and Malik told me about the West African drumming he does in school. Who knew that I would find so much in common with a 6th grade boy? Four months later, I still look forward to every Tuesday evening when Malik and I meet at FLOC headquarters for two hours in Adams Morgan. We use a curriculum guide to get his reading and writing up to his grade level and a vocabulary workbook to improve Malik’s store of words. We’ll read aloud, or silently, from one of his favorite books, Diary of a Wimpy Kid, and we usually wrap up our sessions with a rousing game of Connect Four or Monopoly. I love learning more about Malik and seeing him flourish as a student. I think he likes having two hours of undivided attention and seeing his reading and writing improve so much. It’s already early February and Malik and I only have a couple more months together before summer break. As I look ahead, I hope that we can maintain the momentum we’ve had thus far and continue to enjoy our time together as much as it seems we both have. I continue to learn from Malik about what it means to be a sensitive, curious and joyful person and I hope I can share some of my qualities with Malik, too. When I moved to Washington, DC I wanted to be able to see how my time was making an impact. It’s such a treat to work with Malik and see the results of our hard work right in front of me with a smile on his face – and mine! 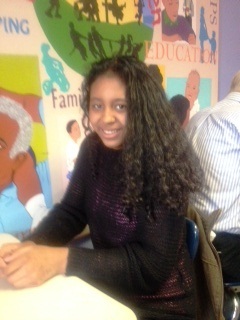 (Jennifer Bangoura is a tutor in the Tuesday Night Reading program).